Less than 30 days to International Aquamimicry Aquatainment 2017. For those who have indicated their interest are advised to do so by 15/12/16 for confirmed hotel booking as per details in our brochure. To date more than 50 have registered from Ecuador, Brazil, Mexico, Fiji, Malaysia, UAE, India, Vietnam, Singapore, China, South Korea, USA and Thailand. 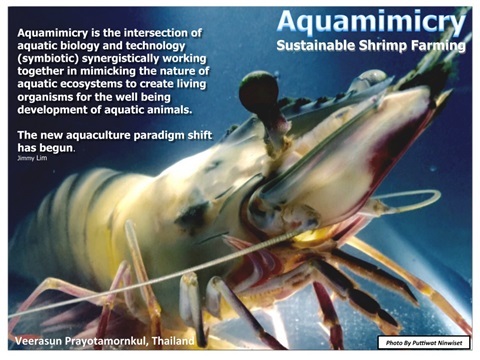 This is the largest gathering of international shrimp farmers to begin for 2017 for sharing, learning and networking for the betterment of shrimp aquaculture through the participation of Aquamimicry workshop organized by the Aquamimicry Aquaculture Alliance. The next aquaculture paradigm shift starts from 9/1/17 to 13/1/17 at Bangkok and Hua Hin.